I love coconut macaroons (not to be confused with the macaron cookies). Nothing beats those bite-sized chewy coconut treats…or that’s what I thought until I stuffed that chewy coconut filling into a double chocolate cookie. 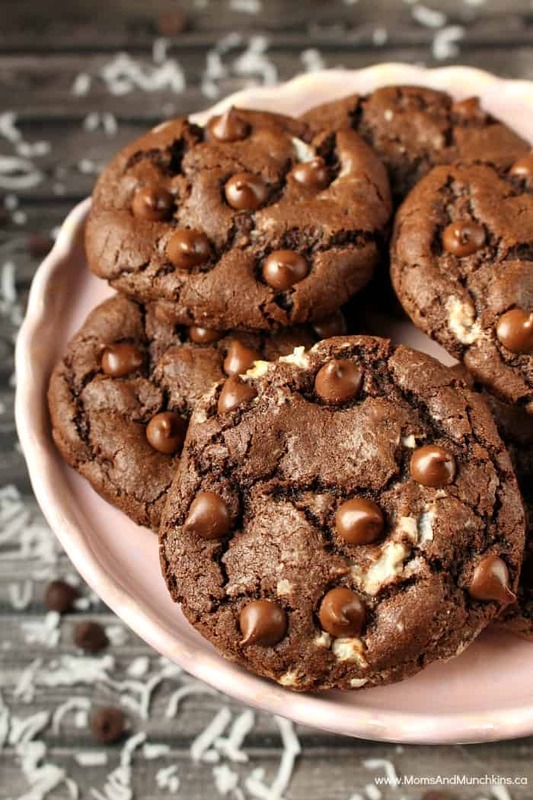 Yes – Double Chocolate Coconut Cookies! 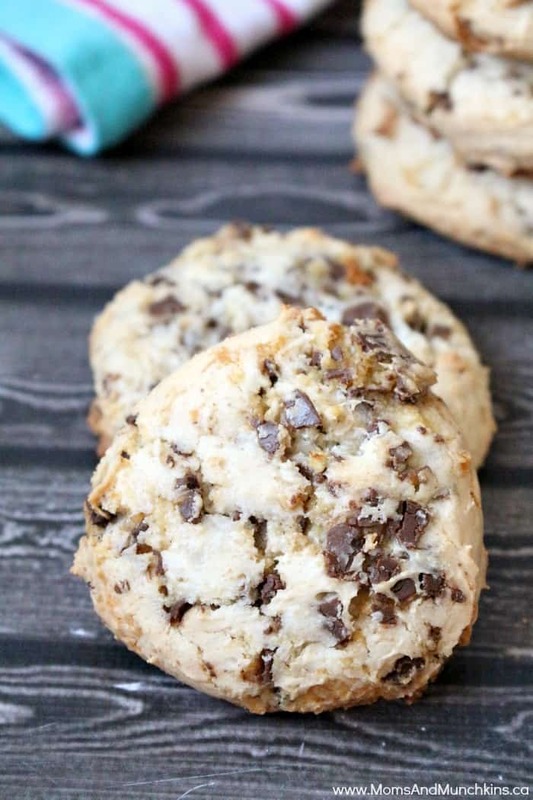 An oversized chewy double chocolate chip cookie with a delicious coconut filling. I could seriously eat a dozen of these in a single day. It’s a good thing I enjoy exercise & healthy meals because I really enjoy desserts! It’s all about balance, right? This cookie dough needs to chill in the fridge for at least two hours (or overnight) before shaping them into cookies. Giving the dough time to chill gives you thicker cookies. You’ll want to wait until the dough has chilled before you prepare the coconut filling. 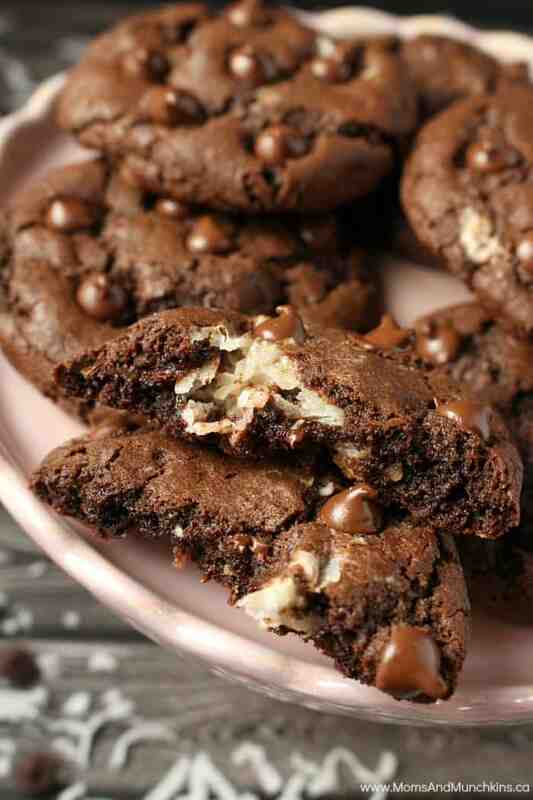 Delicious double chocolate cookies stuffed with a coconut macaroon filling. This recipe makes approximately 20 large cookies. For the coconut filling, you'll want to wait to prepare this until after the cookie dough has chilled for two hours. In a large bowl, beat butter, granulated sugar and brown sugar together until creamy. In a separate bowl, combine the flour, cocoa powder, baking soda, and salt. Slowly mix dry ingredients into wet ingredients until blended. Do not over mix. Stir in 1 cup of the chocolate chips. The remaining ¼ cup of chocolate chips will be used right before you bake the cookies. Cover dough and chill in refrigerator for at least 2 hours. In a small bowl, stir together flour, coconut, condensed milk and vanilla. Scoop chilled cookie dough into balls that are about 2 tablespoons in size each. Use your hands to flatten out each cookie a bit so you can scoop about 1 teaspoon of the coconut filling in the middle of each. Roll chocolate cookie dough around the coconut filling so it's completely covered. Your cookies should now look like round donut holes. Place cookies on an ungreased cookie sheet (space them apart by at least two inches because they will spread out quite a bit when baking). Take the remaining ¼ cup of chocolate chips and press a few chocolate chips into the top of each cookie before baking. Bake cookies for 12-14 minutes. Let the cookies cool completely before removing them from cookie sheet. If you’re a huge fan of the chocolate & coconut combo like I am, here are a few other recipes you’ll want to check out. 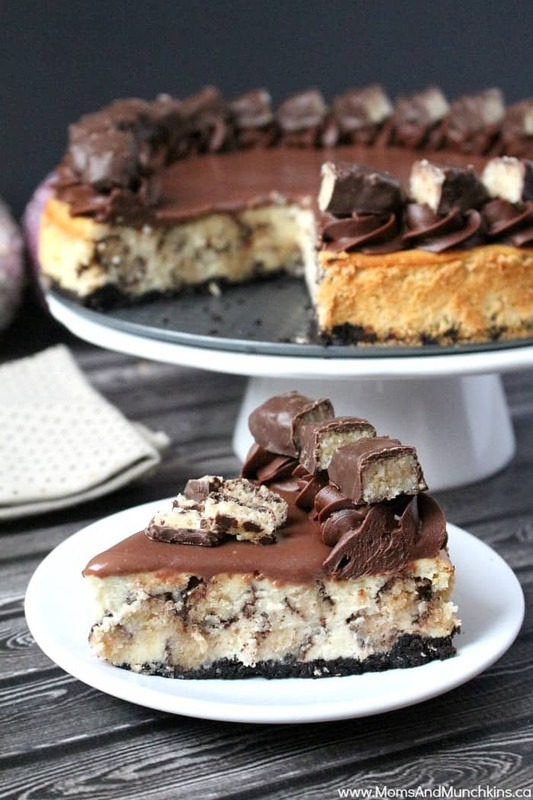 Chocolate Macaroon Cheesecake – my favorite cheesecake recipe. Chocolate Coconut Cookies – with just 4 ingredients! 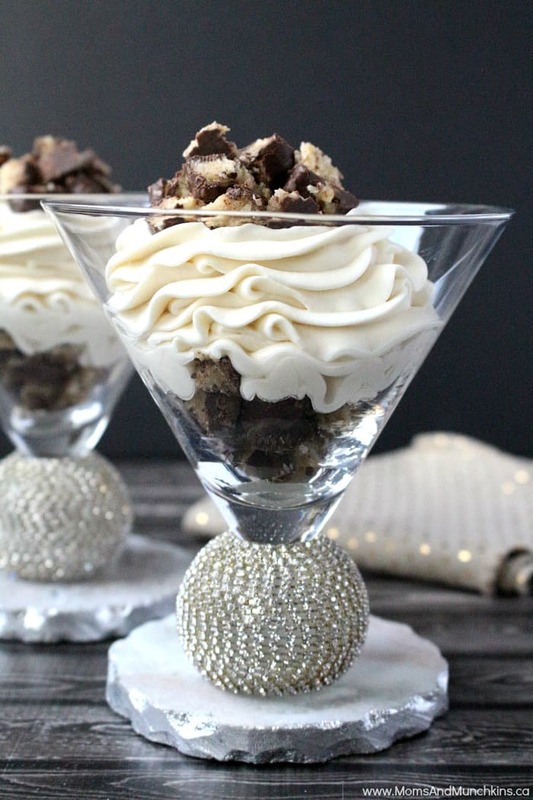 Chocolate Macaroon Cheesecake Parfaits – a delicious no-bake recipe. For more delicious ideas, visit our Recipes page. Stay updated on the latest ideas by following us on Instagram, Facebook, Twitter and Pinterest.